If you are unhappy with your smile, it might be time to consider visiting the cosmetic dentist Lowell, MA and surrounding communities trust. The experienced doctors at Crosspoint Family Dental practice their trade at our conveniently located office on 850 Chelmsford Street in Lowell, MA. We understand how important a beautiful, radiant smile is. Whether you realize it or not, a nice smile indicates personality, warmth, and health. This is why we have a dedicated team of professionals that can help you change your grin into the glowing, luminous smile that you deserve. 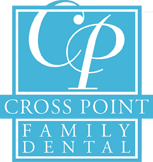 At Crosspoint Family Dental, we offer the best options you can find from a cosmetic dentist. Lowell, MA residents that are unhappy with their smiles can come to our office for anything from tooth bonding and whitening, to reshaping and orthodontics. We utilize the best practices in cosmetic dentistry to ensure that your smile is not only beautiful, but affordable as well. If you dislike the look of your teeth due to chips, discoloration, gaps, or shapes, come to Crosspoint Family Dental to speak with a cosmetic dentist. Lowell, MA patients can trust that they will receive the best care from local dentists who genuinely want to help. Our dentist office in Lowell, MA offers a unique approach to cosmetic dentistry. We use state-of-the-art technology for all of our procedures and practices, ensuring that our patients receive the best care that could possibly be offered by a cosmetic dentist. Lowell, MA and surrounding communities can turn to Crosspoint Family Dental for a full range of cosmetic and restorative dental services. We love healthy smiles, which is why it is our mission to provide them for all of our patients, and why we help them maintain their gleaming grins throughout the years. We understand that for many, a dentist office is not an ideal place to be. This is why we have created a warm, friendly environment where our patients can relax and feel comfortable before and after their appointments. To take advantage of our expert dentists and hygienists, call us at (978) 459-6467 and schedule your appointment. Changing your smile can change your life, so do not delay meeting with a cosmetic dentist Lowell, MA can trust.